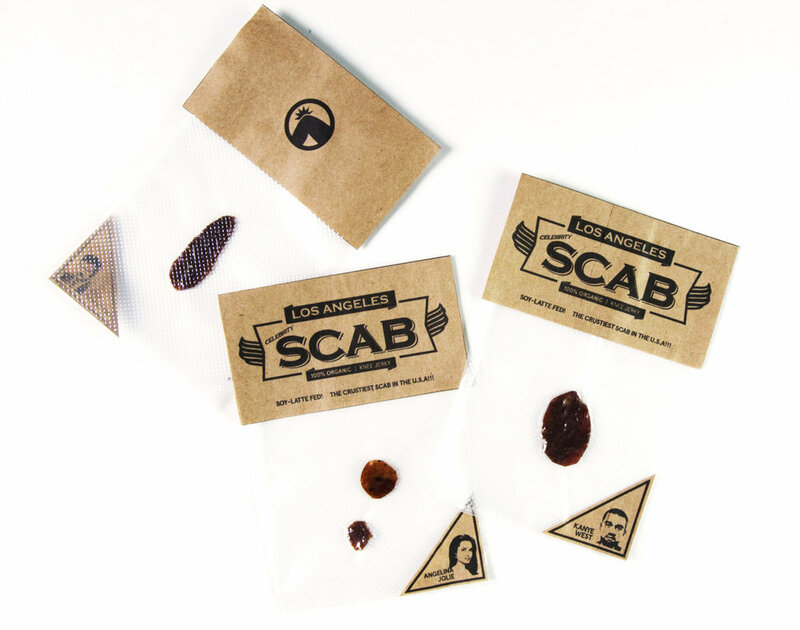 This is a new line of souvenirs inspired by the weirdness of Los Angeles. For a city with a self-pronounced Silicon Beach, coconut oil pulling, and artisanal ice creams, the souvenirs you find are not very eclectic. So what really makes Los Angeles, LA? The celebrities. People idolize these musical genius and silver screen starlets by dressing like them, talking like them, and eating like them in that pursuit of fame and fortune. In the spirit of the chase (and possible fame), we're inviting tourist to get a taste of that glamorous life. From Kanye West to Angelina Jolie, you can find all your celebrity flavors and absorb some of their stardom.